Q. I am using Apache server and PHP5. 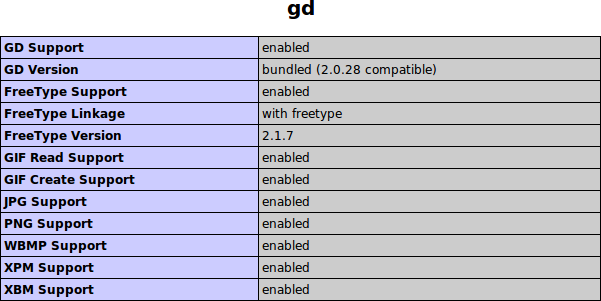 How do I install install php gd support? A. PHP is used mainly in server-side application software along with various addons. PHP includes a large number of free and open source libraries with the core build. PHP is a fundamentally Internet-aware system with modules built in for accessing FTP servers, many database servers, embedded SQL libraries such as embedded MySQL and SQLite, LDAP servers, and others. Many functions familiar to C programmers such as those in the stdio family are available in the standard PHP build. The GD Graphics Library for dynamically manipulating images. You will need to compile PHP with the GD library of image functions for this to work.